Leaving in a few minutes for the second week at Many Point Scout Camp. The troop is large enough that we have a dozen guys in soccer and baseball that could not go with the troop a couple weeks ago - enough for a second week! This should be fun with a great scout trying his hand at the SPL position for a week, a new Scoutmaster, and a small group. I'm hoping it's more like a PT boat than a battleship when the scouts need to gather, transition, and make decisions. We'll see. 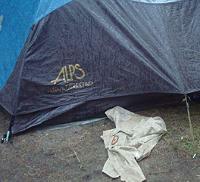 Our Alps Mountaineering tents have nice vestibules and do a great job of keeping out rain, but only when properly set up and when gear is stowed. As you can see, that's not the case every time. How does a scout leave his uniform shirt laying in the mud out in the rain? Last week at camp, I often saw scouts ill-prepared for the day. Whether it was 'forgetting' their water bottle, rain coat, merit badge material, towel, or sunscreen, some scouts would constantly be in need. Reminders from the SPL before breakfast, reminders from the Scoutmaster after lunch, and reminders from Patrol Leaders in the evening fell on a more than a couple pairs of deaf ears. We are asked to train scouts and then let them practice their skills. When a scout is told, shown, and asked to practice a behavior and then does not do it, what should an adult leader do? The training has been done, punishment is not an option, so letting him get dehydrated, soaked, or burned and then taken to the health lodge seems like the next step. Seems like a tough way to learn. I believe some boys are so coddled that they don't grasp the concept of self-sufficiency and responsibility. The 'training' some have received at home for the past 11 or 12 years is that someone will take care of them, pick up after them, fix it for them, or in some other way make everything ok for them. At some point, each boy will finally understand that his actions and the resulting consequences are his alone, but some have been guided by the hand for so long, it takes extra practice. Providing them with more opportunities to make decisions is key. We had a great lesson the morning we left camp. A severe weather risk caused the camp staff to evacuate all troops to the dining hall at 4:30am. Almost 20% of the scouts could not find their raincoat. Afterwards, we discussed how having a few important items readily at hand during the night is important. Hopefully, it will be remembered next time. Another opportunity was each evening's campfire. The guys gather, start the fire, have a fun time, and then remember that they don't have a flashlight. I'd guess almost half the guys were in that boat, even towards the end of the week. It sure sounds like I'm complaining, doesn't it? I guess I am, about the coddling anyway. But, I'm also pointing out that 11-16 year olds don't connect all the dots like adults. Planning ahead, being prepared, and considering consequences takes some mental development that some of these guys just don't have yet. Keep instructing them, keep caring about them, keep encouraging them, and sooner or later you'll notice a change. You might even see a clean, dry shirt or two at the end of the week. The Little Brown Box I mentioned in an earlier post has become common knowledge now. There are a few scouts that dip into it nearly every meeting, but many are still missing out. The SPL and ASPL now take care of the uniform inspecting and management of the box now that they are trained in how it works. One scout was a bit confused at the troop meeting, though. 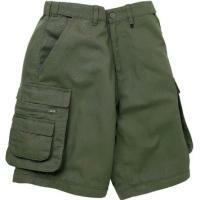 The other scouts had complained that he was not wearing official BSA short pants - green pants similar to BSA are common. He believed that his WERE official but did not make a big deal about it and sat down. Since he felt he had the full uniform on, he asked me about it at the end of the meeting. I said the pants sure didn't look quite like other BSA pants I've seen, but there's a simple way to prove it. I had him look at the button above the zipper and tell me what it said. Sure enough, "Boy Scouts of America" stamped into the plastic button. These are the Canvas Convertible pants and we hadn't seen them before. So, I told him he might want to go tell the SPL to "Read my Button" and then open the box. It's easy to jump to conclusions when something isn't just as we expect it to be. Being observant, flexible, and open-minded helps us improve, whether that is recognizing a new version of BSA pants or improving a skill or accepting a better way to do things than how it's always been done around here. Summer camp can really wear you out. The fresh air, exercise swatting at insects, hard ground to sleep on, and no air conditioning means you need to get your vitamin R (Rest) whenever you can. The first three days of camp set heat index records and it wiped out some scouts and adults. Even though they drank water, slowed down, and ate meals, a few were effected enough to need a quick trip to the health lodge. As an adult volunteer on outings, it's crucial to keep an eye on all scouts to ensure they are taking care of themselves. Training the scouts to look out for each other is just as important. Even if it appears that everyone is being careful, remain wary for signs of heat or cold illness, depending on the environment. Someone doing all the right things can still become ill. 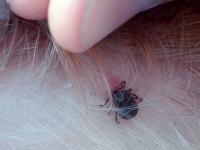 The lack of sleep while camping, especially for a week or more, can become a safety concern. Tired people make poor choices, are not as physically able, and tend to get injured more - besides, they just don't have as much fun. A sure sign of a 'tenderfoot', or inexperienced outdoorsman, is someone that stays up talking late into the night. Taking time to rest and having reasonable Lights Out and are good ideas. We're fortunate to have an older scout as Bugler who is not afraid to enforce the quiet after lights out. I'll post more after I get my tent dried and recognitions prepared for tomorrow's troop meeting. Off to summer camp this morning. Taking 39 scouts for a tropical week at Camp Many Point in the great north woods. Forecast is for 90s all week so it's a good thing that most of them are signed up for Swimming, Sailing, or Lifesaving merit badges - plenty of waterfront time. There's about 125 merit badges to be done. Scout On, and have a great week while we're gone! The two crews returned from Philmont just two weeks ago. The pictures look great. The stories are funny. The blisters are healing. OK, guys, time to sign up for Philmont, 2013. WHAT, we just got home!!!!! 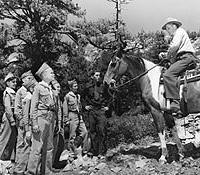 Troops can attend a BSA high adventure base every two years, at most. If your troop does the Sea Base/Philmont flip-flop, then NOW is the time to start generating interest in your 2013 High Adventure. Philmont lottery entries are submitted in October and Sea Base lottery occurs in February. The next lotteries are for 2013, not 2012. Families need a couple months to hear about this great adventure, discuss it, digest it, and finally commit to it. Waiting until October to tell folks about your 2013 Philmont trek is too late! This 16-20 month pre-planning requirement gives some troops massive fits and frustration - having scout families commit to a weekend campout three days before it happens is hard enough! Scouts wonder if they'll be active in two years, will they be big enough, will they enjoy it, ... and parents have to cough up some deposit money they may never see again. Brag - have scouts that just returned present their favorite parts. Showing short slide shows, video, patches, and dusty boots is not too much. Budget - tell everyone how much it will probably cost and explain how they can set aside a bit each month now to pay for it then. Brand - show off the last crew's "one-of-a-kind" t-shirt and ask scouts to start designing the next one, making it a special opportunity not to be missed. Interest - check your troop roster to make a list of names of scouts that will be old enough but not too old in 2013. You might have them stand up at a troop meeting and announce that these are the guys that have this great opportunity. Commit - get a sign-up out now so scouts and adults can commit to going. This helps define how many crews are needed. Pay - before entering the lottery, have everyone pony up a deposit to show they are serious. Until the lottery results are received, it is refundable. Once the crew dates are known, request an additional deposit that is non-refundable. This is where you find out who is really going. Pay Again - have periodic payment dates. As the final payment date to the high adventure date approaches, make sure the troop is not behind on collecting funds. If the troop pays the high adventure base before collecting from the scout, they are out the money. Does your troop have other tips to share? Many of the requirements to advance from Scout to First Class can be done any place at any time. A few work much better during the summer than winter. Repeating the Scout Oath or describing a cyberbully can be done at a troop meeting in December, but identifying 10 native plants is much more difficult in January than June for most parts of the country. I encourage scouts to accomplish the following 'summer' requirements as soon as possible so they aren't stuck in their advancement trail waiting to do one requirement over the winter. The cooking requirements can be very difficult and discouraging when the temperature is below freezing. Animals are more abundant and active in summer. It's more enjoyable to be hiking in nice weather rather than through a foot of snow. It's 'possible' to do all the requirements except one at any time of the year, but planning ahead can make it more enjoyable. I believe enjoying the outing is more important than advancing. 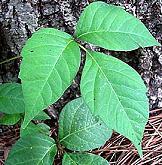 That one requirement that I don't think can be done at any time is identifying poisonous plants. When the plants have died off and are covered with snow, it can't be done. I've heard of letting scouts point to a picture of poison ivy. I've heard of letting them just describe what poison ivy looks like. This doesn't seem to meet the goal of the requirement to me, which I feel is to be able to recognize and avoid these plants in the wild. Have you any ways to let scouts identify poisonous plants when they are not actively growing and visible? There are quite a few menus and food lists available online, and they are helpful for thinking of meals for backpacking treks. But, I didn't find a way to create a menu on-the-fly. This sounds like a useful tool for scouts to use in planning high adventure outings for their troops. So, I've been working on a menu planner for backpacking over the long weekend. This Menu Planner lets you save the different foods you use on the trail, combine them into meals, and use that set of meals to create a menu and shopping list. You can share your menu so others can use it as it is or get ideas to make their own. If you have some time to try it out, or tell your scouts about it, I'd really appreciate your feedback. It is brand new and only in the 'testing' phase with changes to be made based on your input. Take a test run at Backpacking Menu Planner and leave some feedback. There is one menu currently saved which is the menu our troop used backpacking in Wyoming last year.